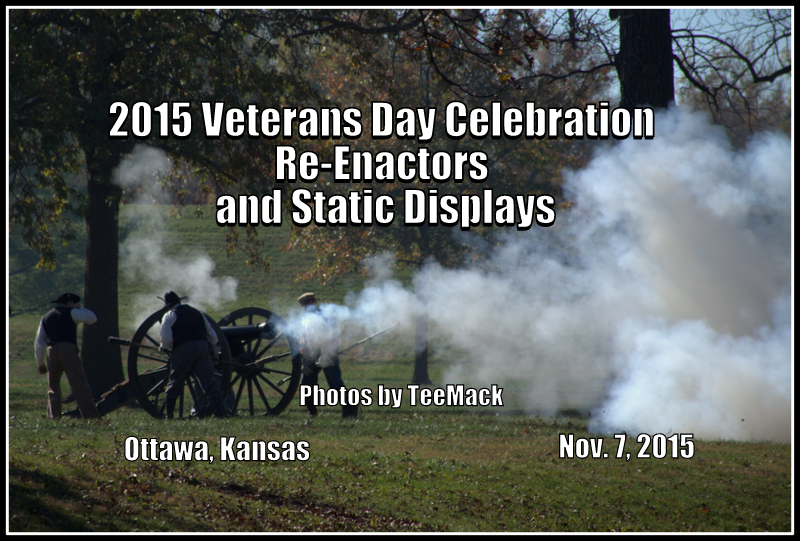 The City of Ottawa, Kansas Veterans Day Celebration capped off is Parade with a Re-enactors in Forest Park. Both Re-enactors and static displays were at the Park. There was a Civil War Re-enactment, and Old West Re-enactment, and a World War II re-enactment. Click here to view photos of the Re-enactors and displays.